The next Board meeting is scheduled for Wednesday May 8, 2019 at 6:15 p.m. at the Club House. 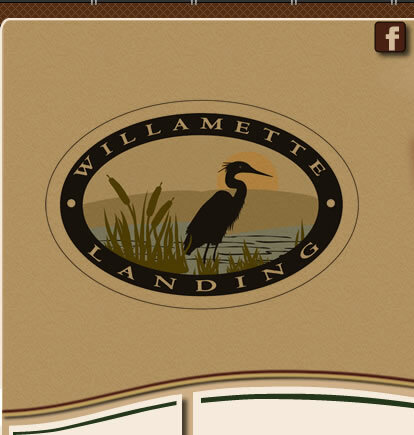 Willamette Landing Owners Association (WLOA) is now hiring pool monitors. Monitors must be at least 18 years of age. Applications and the pool monitor position description may be found below. The pools will be open from May 25 until September 15 (weather permitting). Monitors will be paid $12.00/hour and generally work 10-16 hours per week, including weekends. Monitors must attend an orientation and pool chemical training. Please submit applications to admin@wloa.org by April 19, 2019. For description and application click on theses links: Pool Monitor Position Description. Pool Monitor Application. For further information contact Blanca at 541-752-0239. Just a reminder that Willamette Landing assessments are now $94/month plus an additional $8/month if you live on a private street (this amount has not changed). If you use on-line banking to pay your assessments, please update the amount to be paid. WLOA will only accept checks for payment of assessments; no credit card or bank ACH transfers. 2nd quarter assessments bills have been sent. If necessary your bill will reflect previous payments that have been less than the required $94/month, late fees and/or interest, and possibly a fee for non-compliance for the lack of submission of a 2019 Owner Contact Information form, which was due date of 2/28/19. Your assessments are due on the 1st of each month and will be considered late if payment is not received by the 20th of each month. Finally, WLOA is a non-profit organization that has regulations we must follow. We work within those regulations, which all homeowners should be aware of (CCR's, Resolutions, Fee Schedule) and with best business practices and personal compassion at all times. Per CCR 6.16, these must be out of sight (behind your back yard fence or in your garage) no later than Sunday at 5pm. The City has sent out letters to some homeowners within Corvallis reminding them of the need to test their backflow system. WLOA DOES THIS INITIAL TEST FOR ALL HOMEOWNERS as part of our irrigation maintenance agreement. Our landscape contractor has completed the back flow test of valves to ensure they are functioning properly. They have provide both the City and WLOA with a complete list of all properties and the outcomes of the backflow testing. Letters from WLOA have been mailed to those homeowners whose back flow has failed. You must make necessary repairs to your back flow by May 15, 2019; have it retested AND then submit this retest to the City to be in compliance with their requirements. This process is a bit cumbersome and potentially confusing. However, if you hear from WLOA that your back flow has failed, you will need to repair, retest and submit the updated back flow test to the City. If you don't hear from WLOA regarding a back flow failure, know all is good with your back flow system. The Board is strongly encouraging those of you who have requested your quarterly billing be delivered by USPS to reconsider and do this via email. It will certainly save the association printing, envelope and stamp costs. Do give it some thought! Please make sure that admin@wloa.org is listed/indicated within your email system as a "safe sender". Important documents such as assessments and other statements have ended up in homeowners SPAM box rather than the proper INBOX. There is 1 Board of Director position available--Member at Large. This is a 1 year position. This Board position would require attendance at the monthly Board meetings, and prior to the meeting reviewing necessary materials for Board discussions. There are 2 positions available on both the Budget and Social Committee. Again, these positions would require attendance an monthly committee meetings. If you are interested in this positions, please complete the Community Volunteer Form. Click here for form. Submit this form to Admin@wloa.org. Starting April 15th the ADA Ramps in Phase 1 & Phase 6 of Willamette Landing will be removed and reconstructed according to the City of Corvallis specifications. This project will take about 3 weeks and will affect the neighbors who live on SE Sternwheeler, Schooner, Seaport Circle, Marshland, Edgewater and Everglade. There will be construction signage, barriers, and flaggers to assist with the adjusted traffic patterns within these streets. At no time will you "closed off" from getting to your home. You may need to adjust your evening walks during these couple of weeks based on sidewalk closures. Please following all requests from the construction personnel as they complete this project for WLOA. During the summer 2019 ALL of the streets listed above will get a fresh coat of slurry seal overlay. During the slurry seal project there will be a time frame in which you will NOT be allowed to drive on SE Sternwheeler, Schooner, Seaport Circle, Marshland, Edgewater and Everglade. This should be no longer than a 24 hour period of time. You will be notified of those dates closer to that project. An owner or their Real Estate agent may place one sign indicating For Sale or For Rent on the property. A corner lot may have a sign placed on each corner; with a maximum of 2 For Sale/For Rent signs per corner lot. No sign may exceed 24 inches X 36 inches and must be movable (non permanent in any fashion) to accommodate front yard lawn care. A 4 X 4 wooden staked front yard display is not considered movable and therefore does not meet necessary standards. The non-moveable 4X4 wood stakes have the potential to interfere with our irrigation system AND they do not allow Northwest Landscape to properly mow your front yard. If you have a sign of this nature in your yard, please request your realtor immediately place an approved sign. All other signs association with your home should be located only in the bed area. According to our CCR's, all vehicles must be parked within the owners driveway or garage. This rules flows through to an owners tenant and their vehicles. However, over the years the Board of Directors as amended CCR 6.9. Currently, IF you have applied, paid (one time fee of $25) and received permission you may park in the street within the extended property lines of your home but in front of ONLY your home. Otherwise, you must park within your driveway, garage OR any designated* area which the Board of Directors has approved. *The Board of Directors designates that on-street parking provisions of CC&R 6.9 do not apply on streets where there are no houses front doors facing the street (SE Pierpoint, SE Channel, south side of SE Rivergreen including between SE Midvale and SE Shoreline, south side of the 1200 block of SE Schooner east of SE Sternwheeler, the north and south side of SE Marshland and SE Edgewater, east of the SE Everglade alley way). Do remember that there is NO vehicle storage on any street within Willamette Landing; which means the vehicle must be used on a very consistent basis, if not daily. Do contact Tracy at Animal Control at 541-766-6924. Remember, it is both a CCR and CMC violation for any disturbance (such as a barking dog) to happen between 10pm and 7am. All dogs must be ON-LEASH any time they are off your property (CCR & CMC). Even during the winter months, be a good and responsible neighbor and make sure to pick up after your dog and dispose of your plastic bag in your garbage can or one of the three "community cans" available to you along most common walk ways.